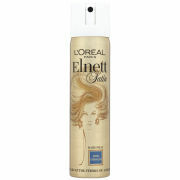 This hairspray is excellent for working, sculpting and defining any shape and style. Uniquely designed to allow you to flaunt your creativity. 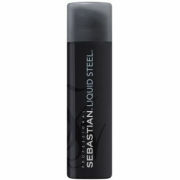 Spray on damp hair for body and shaping or after blow-drying for ultimate hold and control. 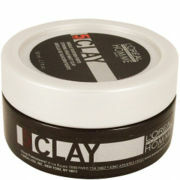 Fast drying and brushable. Alcohol Denat, Hydrofluorocarbon 152a, Water/Aqua Dimethyl Ether, Octylacrylamide/Acrylates/Butylaminoethyl Methacrylate Copolymer, Aminomethyl Propanol, Acacia Seyal Gum Extract, Panax Ginseng Root Extract, Commiphora Myrrha Extract (Myrrhe), Glycerin, Panthenol (Provitamine B5), Tocopheryl Acetate, Fragrance/Parfum, Ethylhexyl Methoxycinnamate, Peg-12 Dimethicone, Peg-8, BHT, Potassium Sorbate.